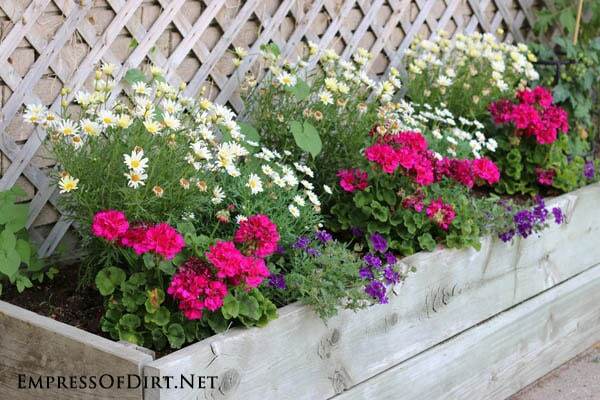 Want great planter ideas? 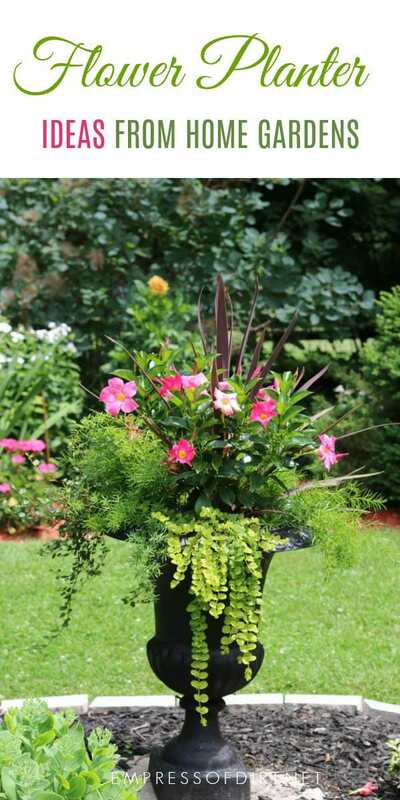 Have a look at these outdoor flower planters, with all sorts of traditional and creative ways to display plants in containers. 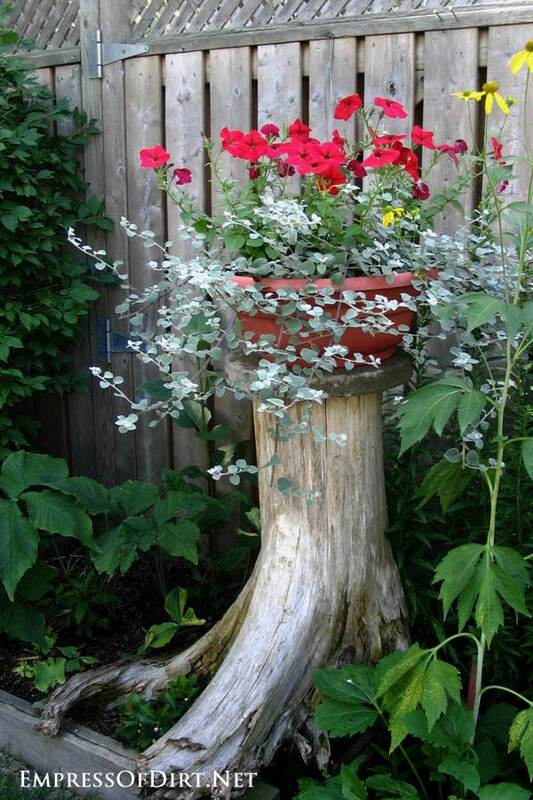 Sometimes the choice of flower pot is the showstopper. 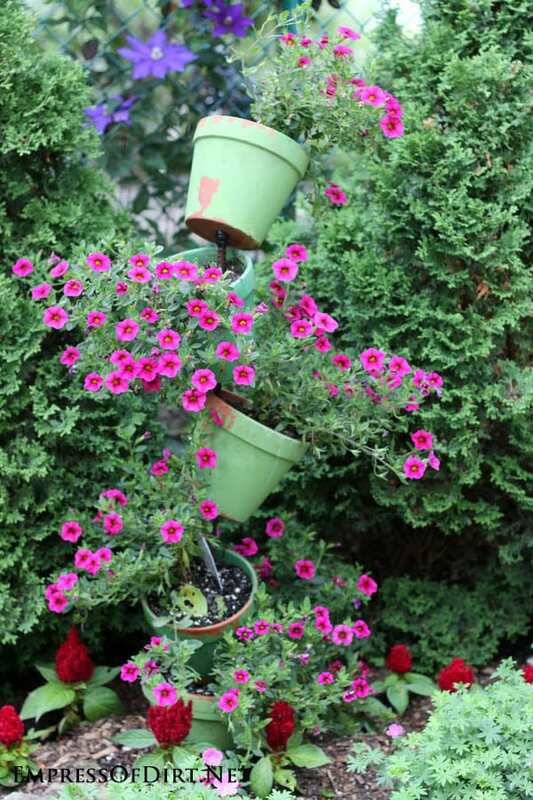 Other times it’s the combination of plants, or how they all work together. 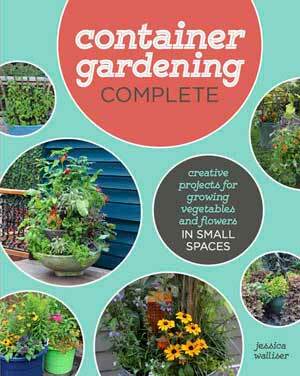 There are more garden container galleries here: 30 Creative Garden Container Ideas. 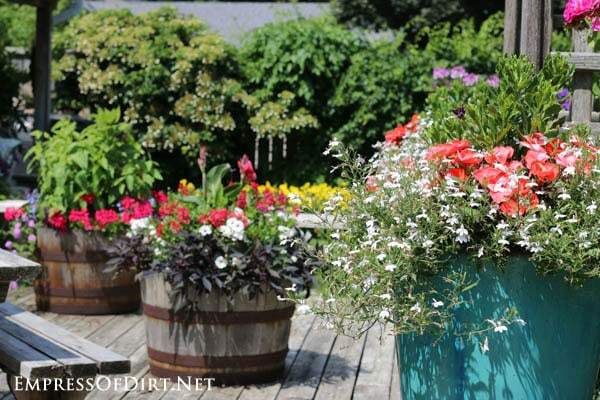 Most of these planter ideas come from local garden tours. 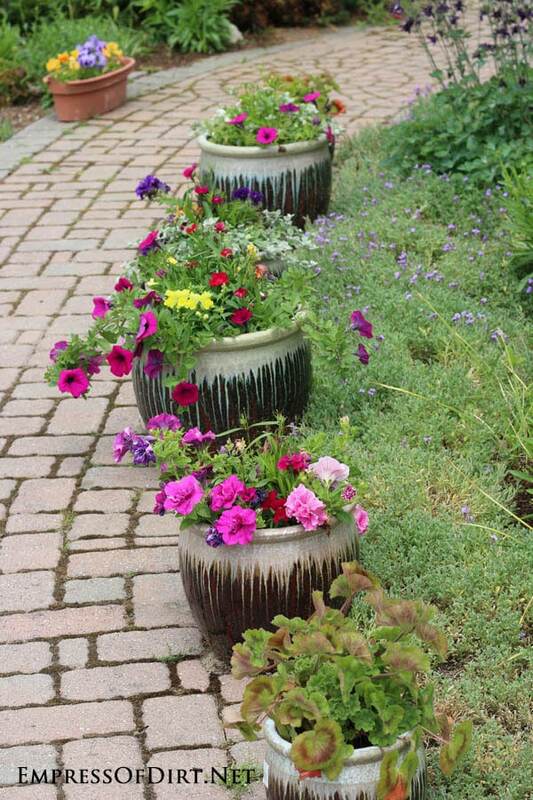 There are lot of ideas for plants and containers, combining colours, textures, and styles, from quirky to classic. 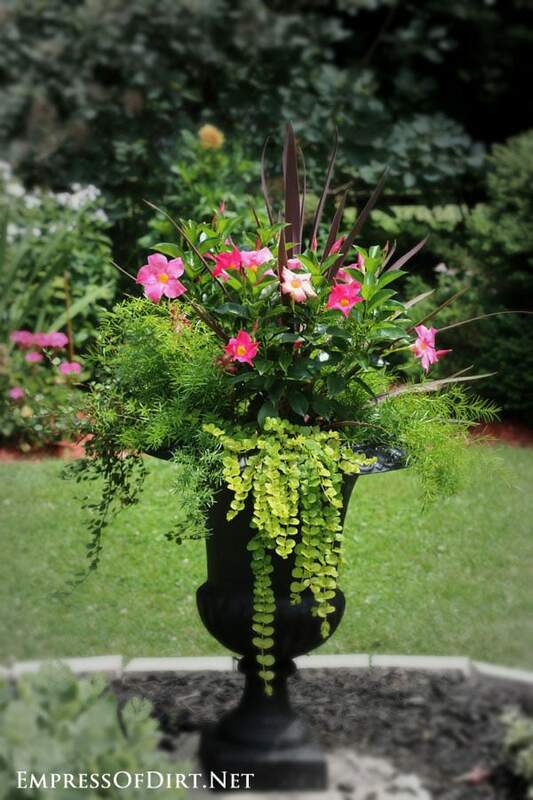 If you can afford it, a classic urn is a great investment for the garden. No plastic here! 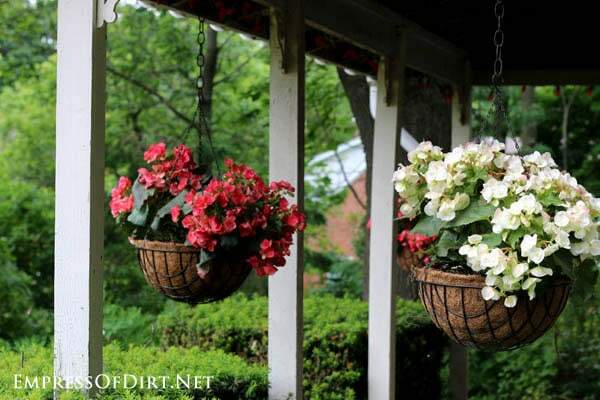 Hanging metal baskets with coir or burlap liners look great. Want to paint them? 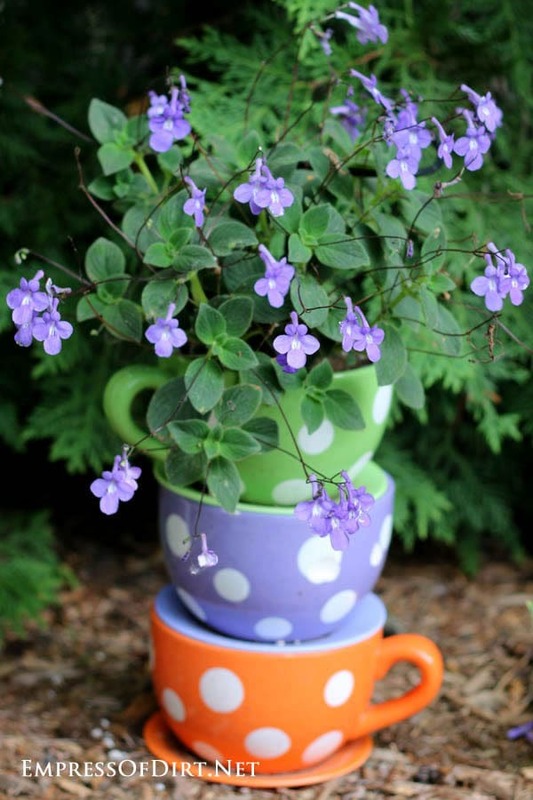 See how to hand-paint designs on clay pots. 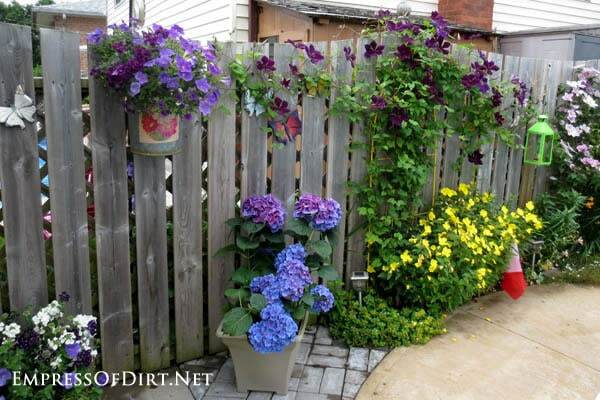 There’s a party of blue and purple here with petunias, hydrangeas, clematis, and a burst of yellow to set them off. 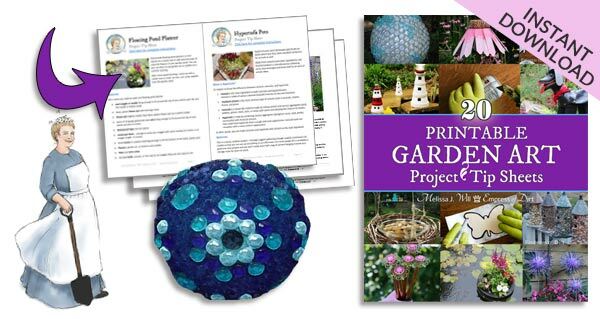 If you have some old household item or piece of junk you want to make into something cool, have a look at my Recycled DIY & Craft Idea Project Idea Bank. TIP: Sometimes new whiskey barrels are actually less expensive than thrift shop ones. They are quite popular and the prices tend to get jacked up. 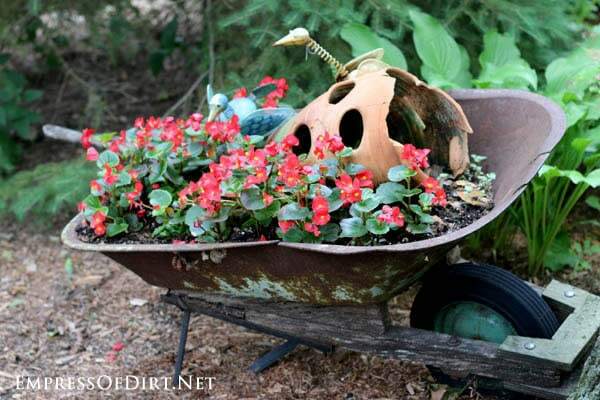 If you love garden art made from repurposed items and ‘junk’ – here’s 62+ project ideas! 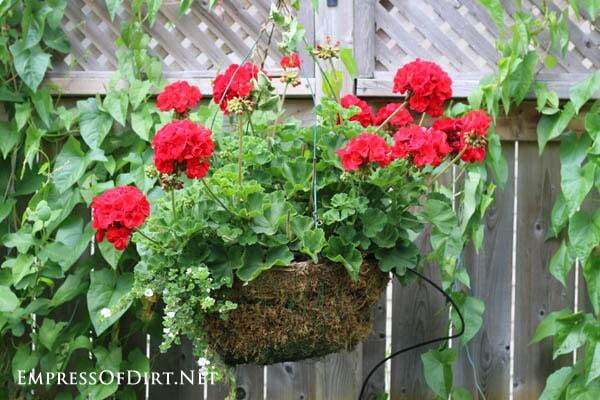 Did you know you can regrow the same zonal geraniums year after year? This shows you how. 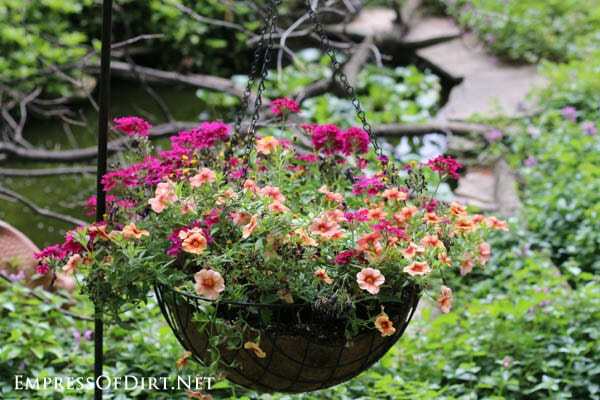 Want a pond but don’t have the space? 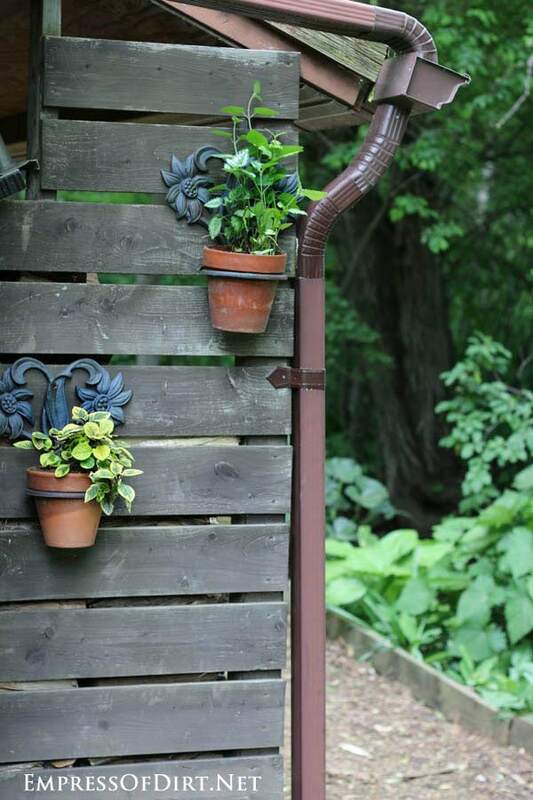 I built my little pond in a raised garden bed. 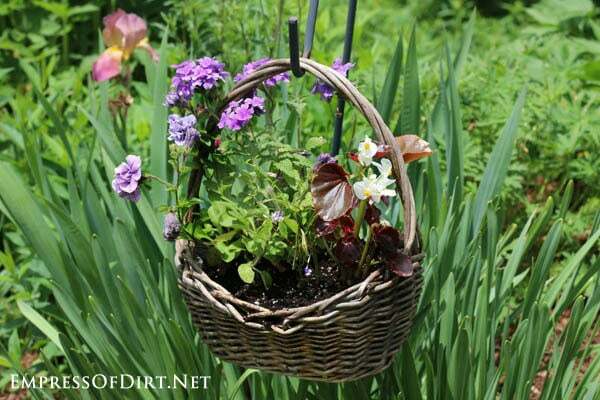 Want to make a garden or make it better? 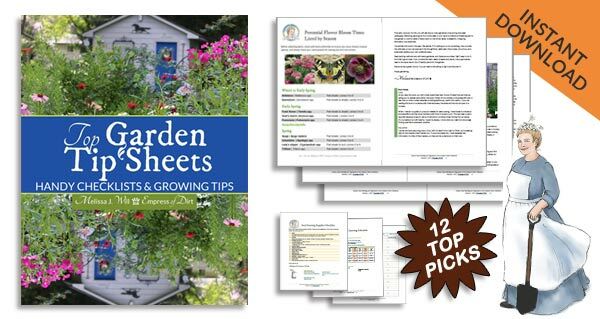 Here’s lots of gardening tips. 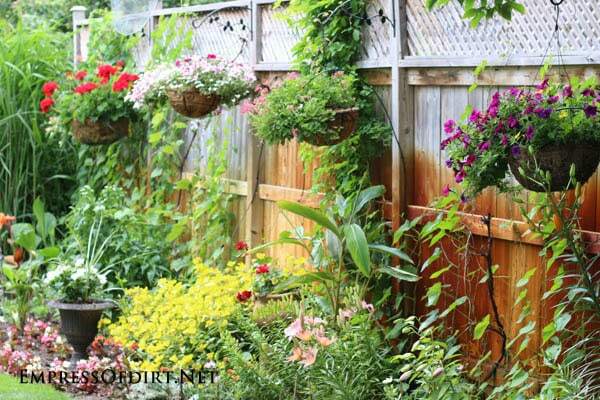 Here’s an idea for a fabulous, vertical strawberry garden. 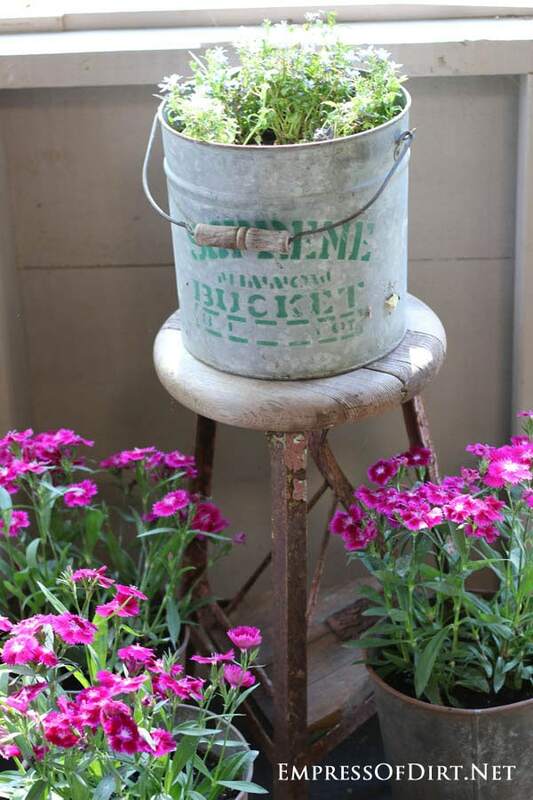 Loved your ideas for re-purposing things to make planters. 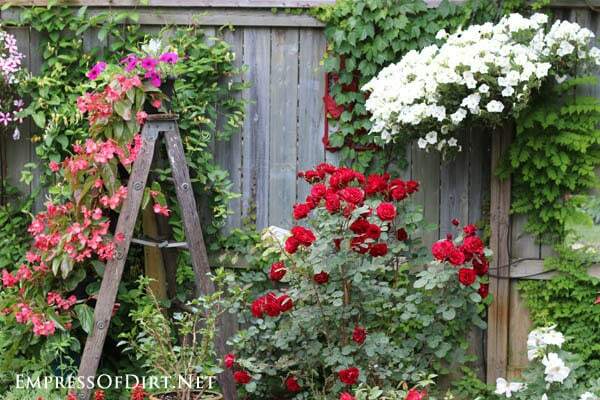 My kind of gardening. That sounds very nice! 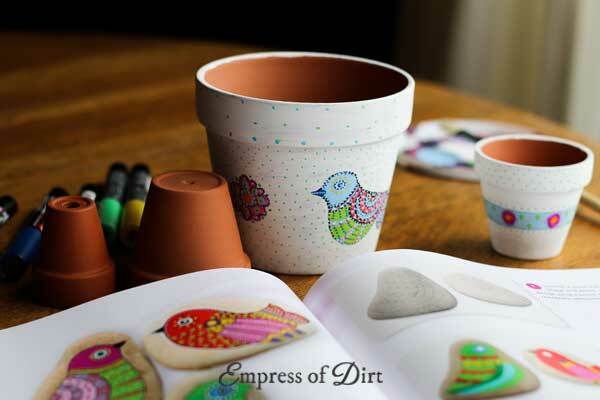 If you ever want to share pics, please put them on the Empress of Dirt Facebook page. I’d love to see them. I am signed up for your emails and always enjoy your ideas and pictures. 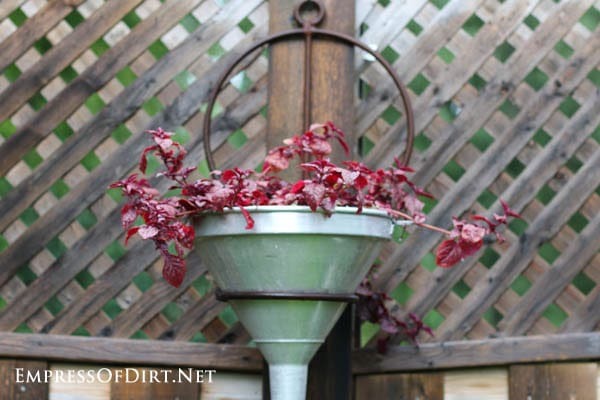 How does the bird bath planter drain? 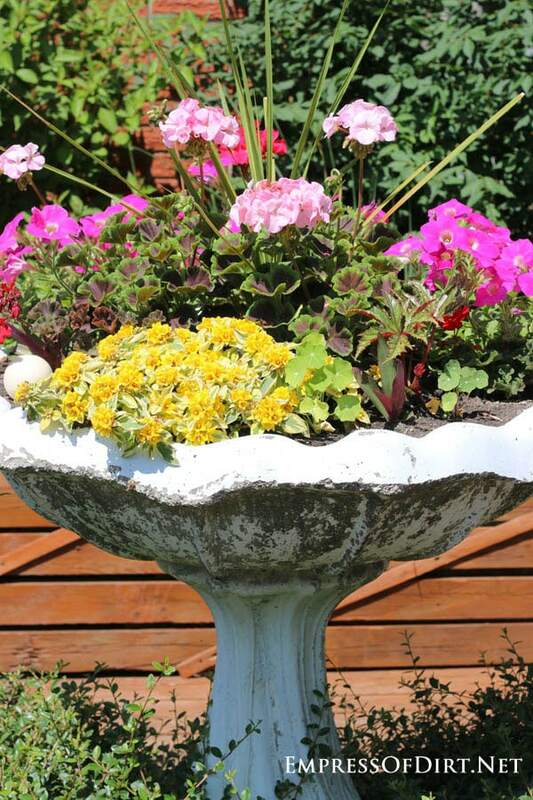 Those concrete bird baths are very prone to cracking. 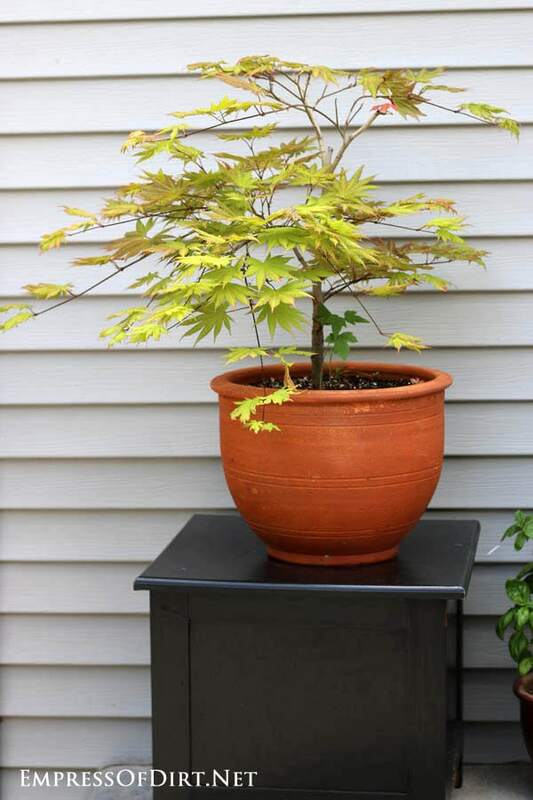 The ones with cracks make great plants with built in drainage. 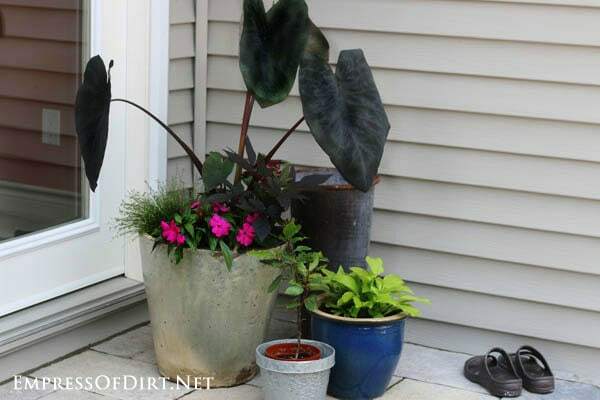 If the crack is big, window screen will keep the soil in.